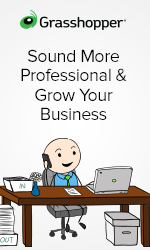 What Makes Your Life Coach Business Unique? Are you unique? If so, are you effective in telling others about it?? An important but often overlooked aspect of marketing your life coaching business is to show people what makes you different. 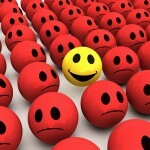 How you stand out from all of the other life coaching folks is the only way to truly get more clients. By NOT doing this, you are just one of the crowd . . . a commodity. And as a commodity you can only compete on price; not the place you want to be. I found it particularly helpful to ask my friends what they thought my skills and overall beneficial characteristics were. They brought up things I never would have thought of myself because I took them for granted. For example, the fact that I could type over 90 words per minute. This was something I taught myself at a young age and had completely overlooked! The fact is, many employers would find this to be an excellent skill, and it certainly made me stand out. Look at other coaches in your niche are doing. 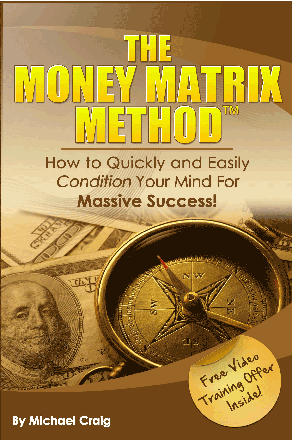 What aspects of their life coaching business do they emphasize? Get a feel for what’s out there, and which unique qualities you can bring to your potential clients. How are you different from the others? This point is vital. Have you been a relationship counselor or therapist for 25 years? If so, say so. Have you written a book? This is sometimes a clincher, since authors are often assumed to be experts. Then build on this uniqueness. It can be easy to overlook what makes your coaching shine when you’ve been doing it for a while or if it comes naturally to you. Put yourself in your client’s shoes. What are they looking for? Is there a certain issue that comes up often in your life coaching practice? Make this a feature of your expertise. It’s likely that many other potential clients have the same issue and would love to hear that you can help them with it. Don’t be shy. There’s a reason why you’re a coach and very good reason why people come to you for help. If you haven’t promoted yourself yet, now is the time to let people know about your unique talents and what makes you shine. If this is difficult for you, take an inventory of your past successes and use it as a guide. Look at getting certified. 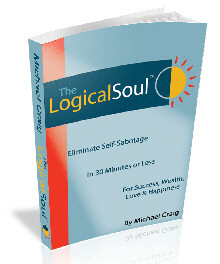 Having a life coaching certificate, like the one Dr. Craig and Dr. Ron Owens offer as part of their Logical Soul(R) Coach training series, can boost your credibility and give you an advantage over other life coaches. Being certified in a specific coaching method never hurts! Identifying what makes your life coaching business unique and sharing it with potential clients on your website, advertisements, and so on is a simple and effective way to stand out from the crowd and get the clients you deserve. For more great life coaching tips, check out Dr. Craig’s FREE report for coaches. 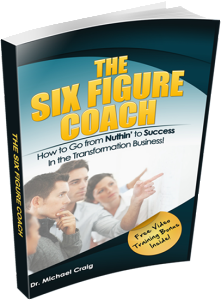 It’s a great resource to get your life coaching business on the right track. Also, pls leave a comment below to share with others what makes your life coaching practice unique!